An Amboseli safari puts you in prime position for one of Africa’s most iconic images: snow-capped Mount Kilimanjaro with an obliging herd of elephants in the foreground. 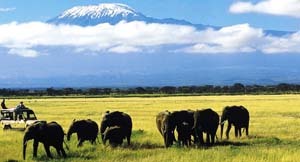 Africa’s highest peak lies in Tanzania but it is Amboseli National Park in neighbouring Kenya that has the best views of the world’s tallest free-standing mountain. 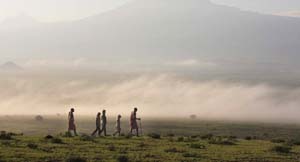 Included on many safari itineraries as a one or two-night experience, Amboseli offers a different side to the Masai Mara, with which it is often combined. A region of arid grassland as well as extensive wetlands, Amboseli is home to lions, leopards and cheetah plus buffalo, giraffe and many antelope species. Its placid elephants are among the easiest in East Africa to get close to for amazing photography and its bird count is said to be over 400 species – an astonishing number for a park less than 400 km² in size (about 150 miles²). There are safari lodges scattered both inside the national park and on adjoining private concessions. Some lodges offer spa treatments, massages and swimming pools; others promise a more down-to-earth bush camp experience complete with bucket showers. The richly layered Amboseli is also great for families on a safari together. Several camps have family-friendly suites and provide guided activities suitable for children. Morning and afternoon game drives are the main focus on an Amboseli safari but, depending on the accommodation, wildlife viewing may be mixed with cultural interactions and other adventures such as horseback safaris and bush breakfasts. 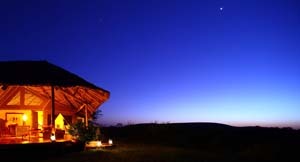 Lodges that are privately located offer additional activities such as guided nature walks and spot-lit night drives. Combining easily with Kenya’s Masai Mara, Amboseli also lies close to the Tanzanian border. This makes it relatively simple to combine Kenya’s best wildlife destinations with those of Tanzania including the world-famous Serengeti and Ngorongoro Crater. And with the advantage of domestic air travel, it is a straightforward exercise to combine Amboseli and a Kenya safari with the Indian Ocean coast for an unforgettable safari and beach holiday. Talk to Safari Online about an Amboseli safari and we’ll recommend the best tour and accommodation for your budget and interests. 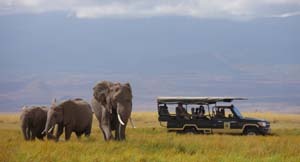 We can also tailor-make an itinerary for you, combining Amboseli with your choice of safari destinations in Africa. Go on morning & afternoon game drives with expert guides to see Amboseli’s wildlife; vehicles are open sided & raised off the ground for easy views & photography. 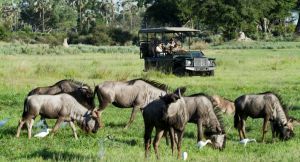 Some lodges offer a full-day game drive with picnic lunch. The soft light of dawn & sunset gives the best views of Africa’s highest peak but ‘Kili’ is an awe-inspiring sight any time of day, especially with a herd of elephants grazing on the savannah in front of it. Accommodations located in private concessions offer their guests guided nature walks as an extra activity. Usually enjoyed after the morning drive, these walks are a great way to view the smaller details & for birdwatchers to tick off a few more species. 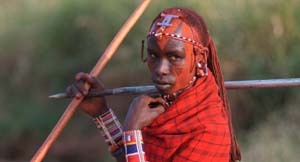 Many Amboseli lodges offer their guests not just the chance to sit back & watch nightly shows of traditional Maasai song & dance but opportunities to travel to local communities & meet the red-robed Maasai people in their own environment. Privately situated lodges in Amboseli offer night drives in addition to morning & afternoon drives. Armed with a spotlight, your guide will be on the lookout for Africa’s rarely seen nocturnal wildlife, including honey badgers, eagle-owls & bush babies. Experience the extraordinary! Let us tailor-make your safari to Africa.